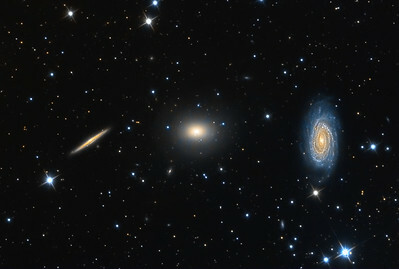 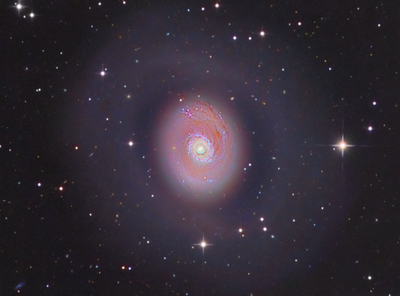 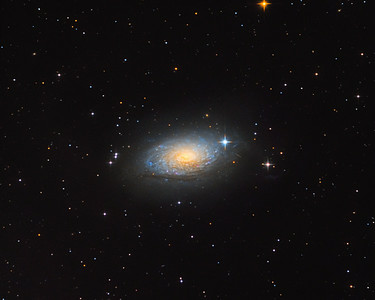 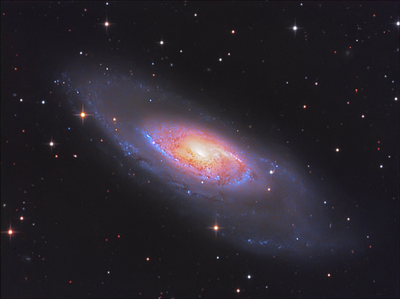 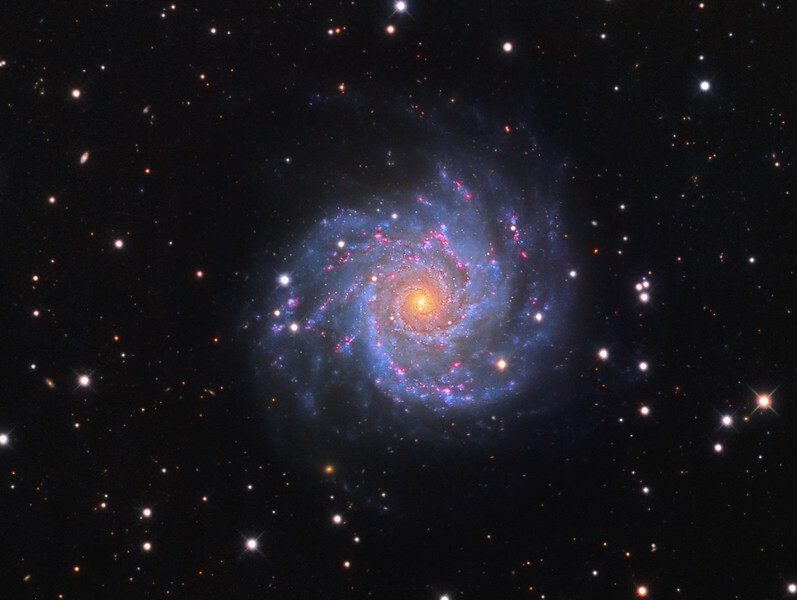 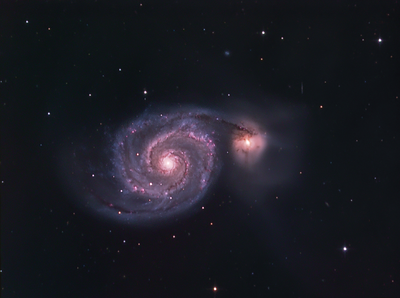 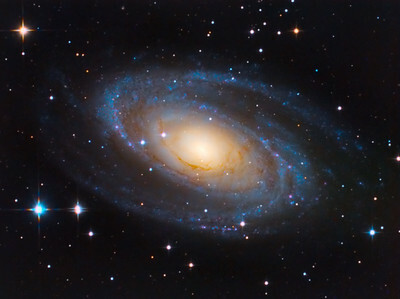 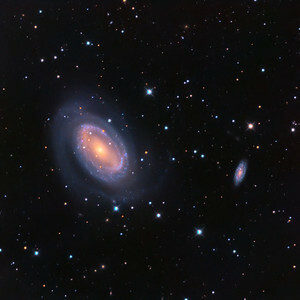 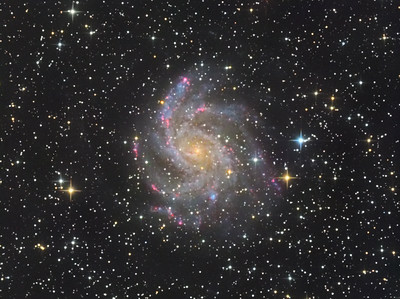 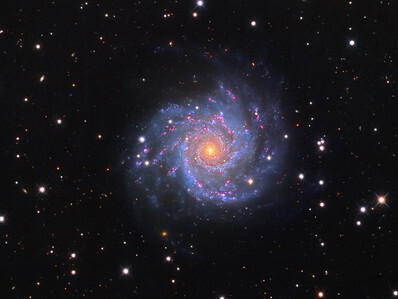 M74 is a beautiful face-on spiral galaxy located in the constellation of Pisces. 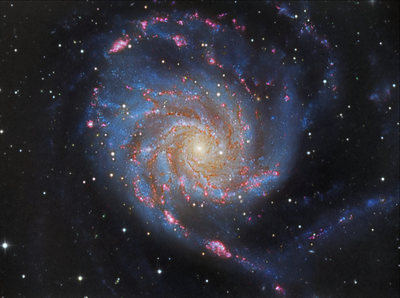 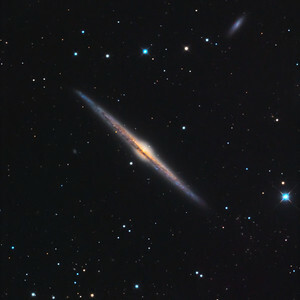 It is an archetypal example of a Grand Design spiral galaxy that was discovered by Pierre Méchain sometime during September 1780. 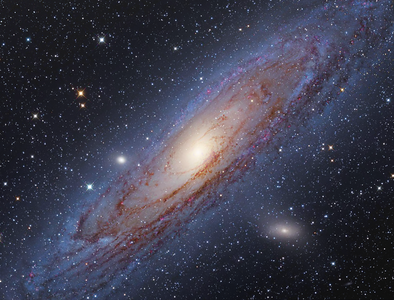 Méchain then reported his discovery to Charles Messier, who subsequently determined its position and catalogued it on October 18, 1780. 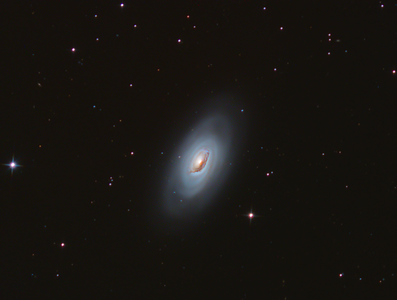 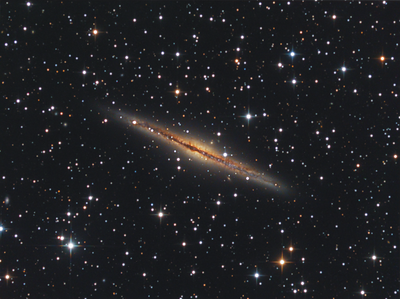 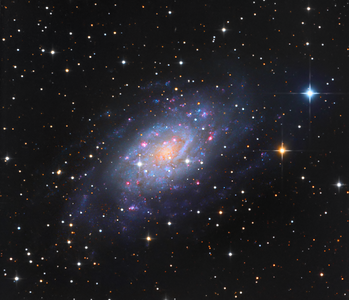 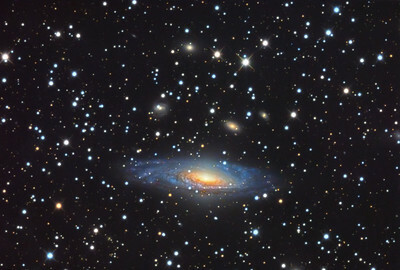 With a magnitude of +9.4, M74 is not a faint galaxy but it does suffer from low surface brightness and can be difficult to locate even with just a hint of light pollution. 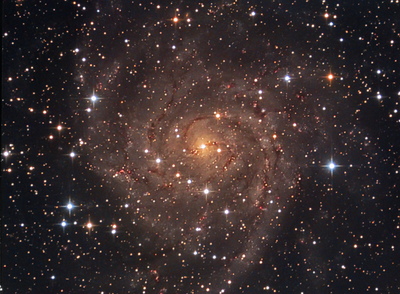 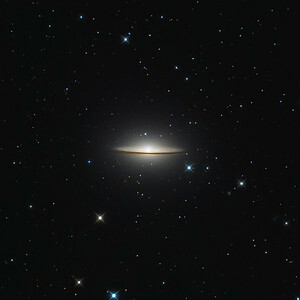 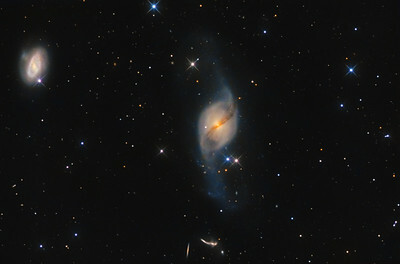 As a result, it is widely regarded as one of the more difficult Messier objects.